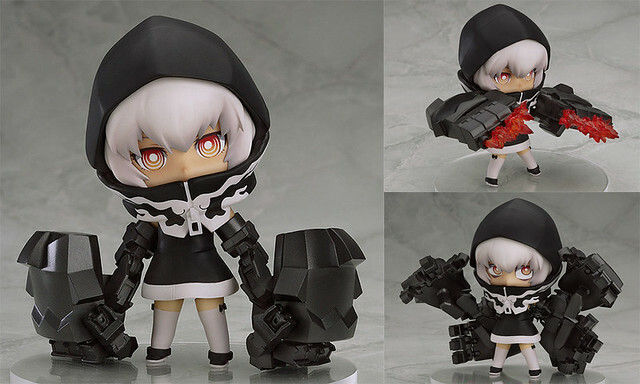 Nendoroid Dead Master: TV Animation version has gone available for pre-order earlier today, so naturally Mikatan also takes the chance to preview this new Nendoroid. Coming out of nowhere is Nendoroid Dead Master: TV Animation version, which has gone available for pre-order starting today. Yes, we have seen her several times in some recent events, so it is only natural for GSC to announce her officially now. 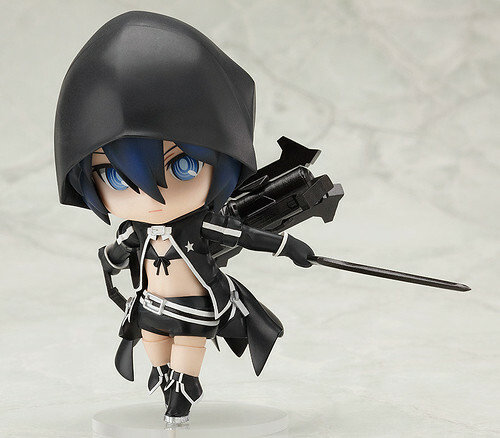 From the anime series that aired in Fuji TV’s noitamina block, ‘Black Rock Shooter’ comes a Nendoroid of Dead Master based on the new design used in the TV anime series – wearing her clear veil while grinning with a sadistic smile. Dead Master comes with optional parts that allow you to display her posed in her signature pose holding her giant weapon, ‘Dead Scythe’ or instead recreate your favorite battle scenes from the series! The giant throne from the series is also included in a special Nendoroid size! 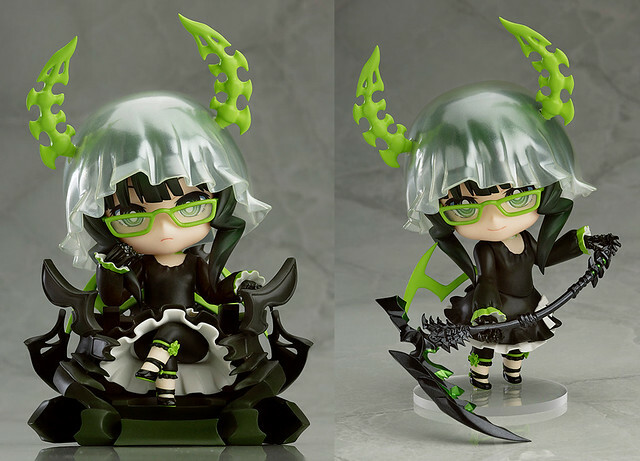 Aside from her new TV Animation design, she will bring two expressions as well as her trusty scythe and obviously, her mighty throne – in Nendoroid size! Wow! 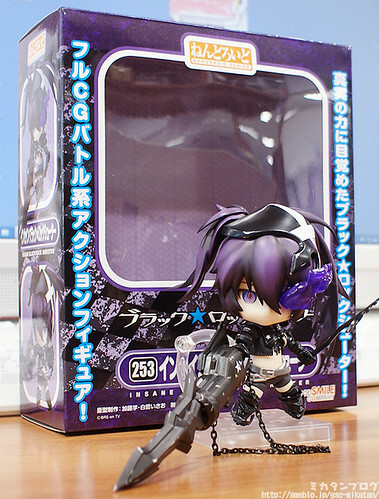 Nendoroid Dead Master: TV Animation version is scheduled for April 2013 release and priced a bit steeper at 4500 Yen. She will also be available at Goodsmile Online Shop. Orders can be placed between November 20th (Fri) from 12:00 until December 19th (Wed) at 21:00. See the product page for more information regarding shipping and shipping costs. 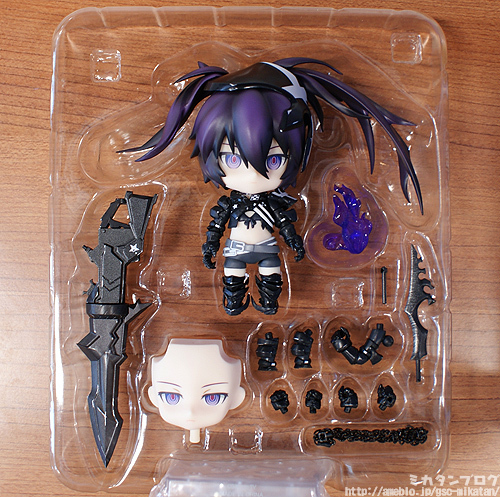 For you who have been anxiously waiting for Nendoroid Black Rock Shooter: TV Animation version, well, now you can take a sneak peek at what-you-are-going-to-get. Yep, Mikatan has just posted a production sample preview of this Nendoroid. 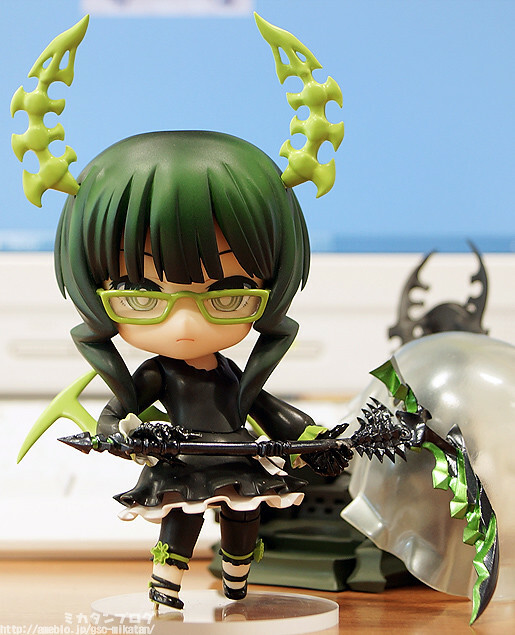 Nendoroid Insane Black Rock Shooter (IBRS) was announced as WonFes-exclusive product since last month, and today her production sample has arrived on Mikatan’s desk to get the usual preview treatment. See more pics and info of her on Mikatan’s blog. Well well … what do we have today? After Nendoroid Saber Lily‘s re-release was announced in surprise earlier, we got another shocking news: Insane BRS will be joining the Nendoroid realm as well! 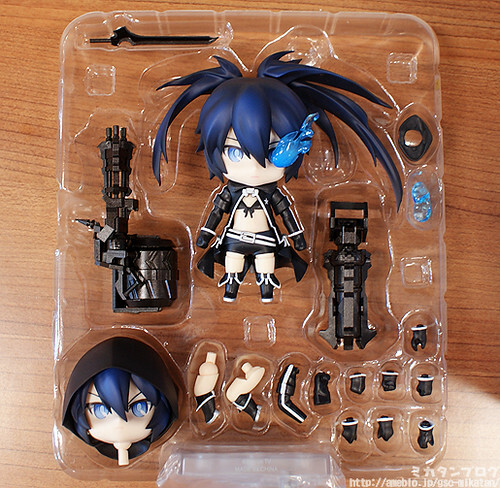 As mentioned by Mikatan a few days ago, Nendoroid Black Rock Shooter: TV Animation version is available for reservation starting today. 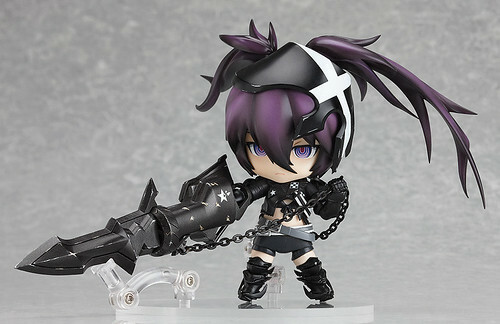 From the TV anime that aired during Fuji TV’s noitaminA block, ‘Block Rock Shooter’ comes a Nendoroid of the main character, Black Rock Shooter herself! She comes with a variety of optional parts – from the much expected blue flame over her eye to an additional head part to display her wearing a hood, allowing you to recreate the hooded scene from the series. She also comes with a variety of weapons including the Rock Cannon in both its standard form and Gatling form, as well as the Black Blade. 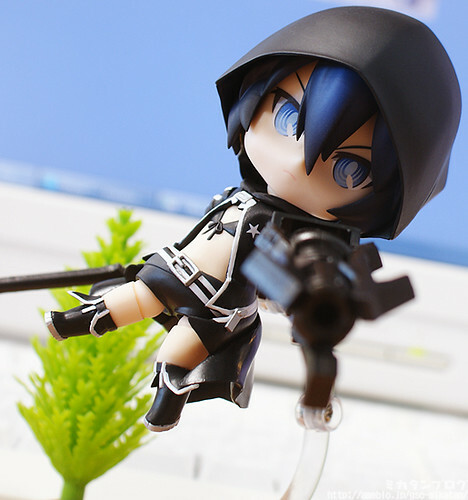 Enjoy the epic battles of Black Rock Shooter in Nendoroid size, whenever you like! She will be available for 3500 Yen and scheduled for August release.